A public warehouse vendor is a supplier of warehouse services for a wide variety of companies. As is the case with any service business, the number of available services and the quality of service that is provided differentiates one warehouse vendor from the next. When you are looking for a public warehouse it is important to ask questions and learn as much as you can about how the warehouse is operated. All public warehouse vendors are not created equal and you want to find the right vendor who can improve the efficiency of your company, lower costs, and help keep your customers happy. 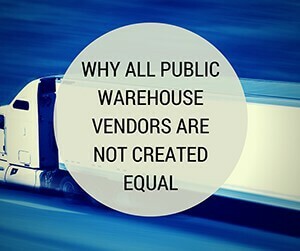 Why use a public warehouse vendor? Another way that public warehouse vendors separate themselves from the competition is by how responsive they are to their customer’s needs. Who are you going to choose? A vendor in Newark, New Jersey, who lives up to the terms of the contract, but does nothing more, or a vendor in Edison, New Jersey, who keeps in touch and is willing to make accommodations when your needs change? For instance, suppose you sell appliances and get a great deal on 20 truckloads of washing machines. The deal is only good if you accept delivery within 30 days. Normally, you only store three or four truckloads of appliances at the warehouse. Under such circumstances, some public warehouse vendors would not be able to accommodate your request for the extra space and load handling. If you were working with a dedicated customer service representative at a warehouse whose management and ownership placed service at the top of their list of priorities, a solution to your problem could be found. 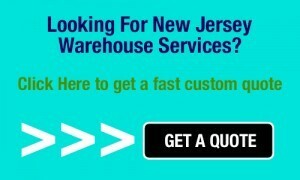 Either you could rent more space if it were available, or your customer service representative would find a suitable nearby facility that could handle your unusually large shipment. Price and location are important factors to consider before you choose a public warehouse vendor, but, they are not the most important consideration. You want reliability, efficiency, and people who really care about you and your company. Sometimes, paying a little bit more and choosing a facility that provides a better level of service, will actually lower your costs.